I'm glad that you were able to get your account working and share with us the story. I would certainly be interested to learn what other information might be contained within the research library. I will contact them and see whether it's possible to arrange for one of their staff to carry out research. 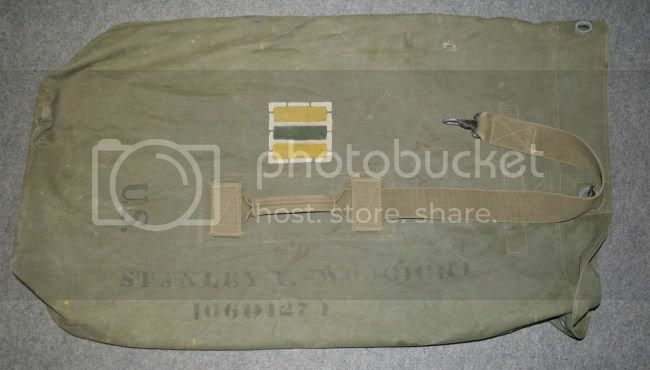 I came across another item with POM marking, the jerrycan is rusted on the inside otherwise I would have used it on the Dodge. Bad luck the original numbers are not completely readable anymore. Love that grouping identified S/Sgt Donald I. Clark! Thanks for sharing this piece from your collection. I've never seen a POM marking with the company designation underneath the bar code. Also, it's interesting to note that the colours used in the bar code do not correspond to the serial number indicated. For example, as far as I can tell the last two digits of the serial number are "83", yet according to the colours used, the last two digits should in fact be "65". There's been a rather interesting development on the project, and I will keep you all informed! Hi All, I have a Bedding Roll of an Major with a POM 34934 yelow green yelow I need help please ? Filthy wrote: Hi All, I have a Bedding Roll of an Major with a POM 34934 yelow green yelow I need help please ? I don't have that number on my list nor in the POM database. Do you mind posting a photo? There is no record of this number on the "A" list. It is likely that this unit entered Normandy in the period between D+15 - D+90. Thanks for sharing this item with us. I'm afraid that List "A" does not make mention of this Unit Serial Number either, so it's likely to be from a unit which arrived in Normandy between D+15 and D+90. From my observations, any code beginning with a "5" was assigned to an Army Air Force unit. I'm afraid that I cannot help further, though. 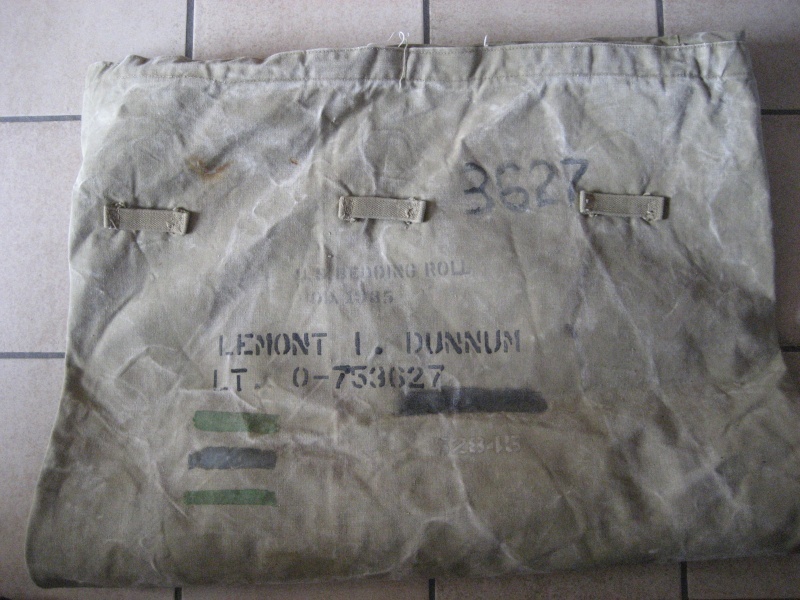 The bedroll you have from LT Dunnum appears to be an AAF number. While I wasn't able to find the number itself, I did find some information about LT Dunnum. On 1947-04-29, Lemont Dunnum was killed flying a Lockheed P80 1 mile SE of Bremen. At the time, he was assigned to 307th Fighter Squadron, 31st Fighter Group. There is no way to know whether the POM marking represents the 307th FS, but the 307th become operational in 1942 and served in the ETO and MTO. Thanks Peter. I think there is a good chance that this is indeed the unit to which Anthony's Bedding Roll relates. As I indicated in my earlier message, all of the Unit Serial Numbers I have seen beginning with a "5" have been assigned to AAF units, so it would seem logical given the matching names, too. Thanks for sharing this great new addition to your collection! It's certainly a shame that there is no Unit Serial Number as this would certainly help to identify the unit. Will check it out and see if it has new info.